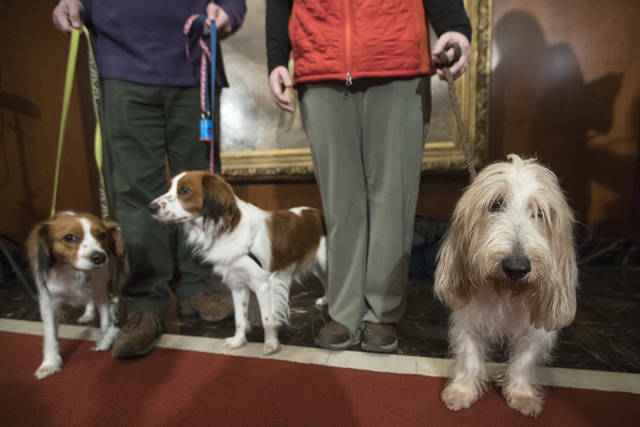 The grand basset griffon Vendeen and the Nederlandse kooikerhondje make their debuts at the Westminster Kennel Club dog show next month, each getting a nationally televised turn among the more than 200 breeds and varieties on the green carpet at the nation’s premier canine contest. But Buzz Lightyear, for one, seems to be taking his breed’s big moment in stride. 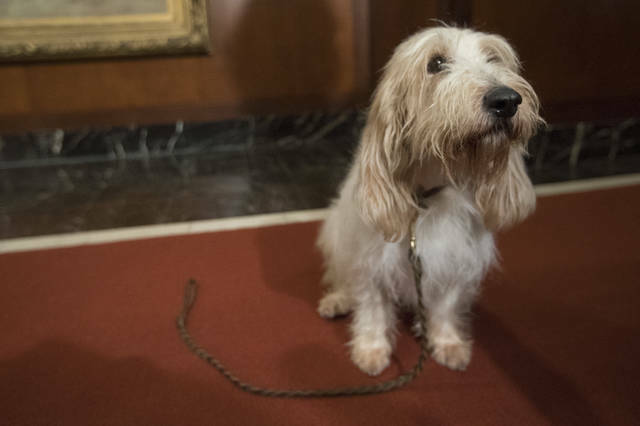 The 4-year-old grand basset griffon Vendeen (pronounced grahnd bah-SAY’ grih-FAHN’ vahn-DAY’-ahn) glanced out Tuesday at the cameras at a Westminster-preview news conference, looked up at owner Brielly Cipriotti, and then lay down on rostrum to do a couple of the things his breed does best: sniff around and induce smiles. About 3,200 dogs, ranging from wee Malteses to strapping mastiffs, are entered to compete at next month’s show, which includes agility and obedience competitions along with the breed judging that leads to the signature Best in Show trophy. It will be awarded Feb. 12 at Madison Square Garden and live on FS1. “It’s the Pied Piper of the dog world,” said owner Rod Beckstead, of Jim Thorpe, Pennsylvania, as he showed off 2-year-old Bandit on Tuesday. The Westminster Kennel Club show spans events on Feb. 9, 11 and 12, with parts broadcast on Fox and Nat Geo Wild. 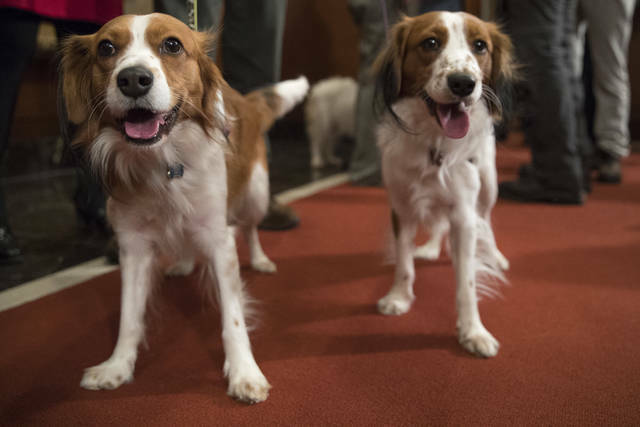 A “Meet the Breeds” event, featuring both dogs and cats, unfolds alongside Westminster on Feb. 9.